It took a little over a week, but the quarter-finals have finally been settled and the final four teams have been decided. London, Waterloo, Kitchener and Windsor will battle it out for the chance to be crowned the Alliance champion. While no series went to a deciding 5th game, the series were close for the most part. The lone series that saw a large discrepancy was London’s win over Chatham, which was a #1 seed against a #8. With the semi-finals now set, we will see top seeded London take on the lone upset winner of the first round Windsor. While Waterloo will battle with their highway 8 rivals the Kitchener Jr. Rangers. Each series brings different questions will some key factors that could determine who comes out on top. Previews for those series should be released this week. The Jr. Knights were able to find the back of the net 18 times in three games as they completed the sweep of Chatham-Kent. The names you would expect to see on the game sheet were there, but there was one prominent name that was missing from this series. It’s a battle of teams separated by just 30 minutes and this one could be a difficult one to predict, should everything go as planned. The struggle for home ice advantage in the first round came down to the final day as Kitchener edged out Huron-Perth by just two points in the standings to grab that extra home game in the series. With these two teams going at it, it’s quite clear that both have been going in opposite directions for some time now. Kitchener has been on a roll for the past month or two, rocketing up the standings when they were sitting in the bottom third at one point this season. The Lakers came roaring out of the gate to nab first place, but injuries and other factors led to a bit of a skid and has seen them fall to 5th spot. Kitchener won the season series between the two teams with two blowout wins in November and December while the Lakers grabbed a win in the opener way back in just the second weekend of the season. The difference between those games was that the Lakers were healthy for the first game, not so much in games two and three. 198 regular season games have passed and we have finally made it to playdown season. Lots has happened over the past four months from teams going on extended losing streaks to teams heating up to increase their positioning near the end of the season. We have seen upsets, blowouts and some increased testosterone and it all comes down to this. 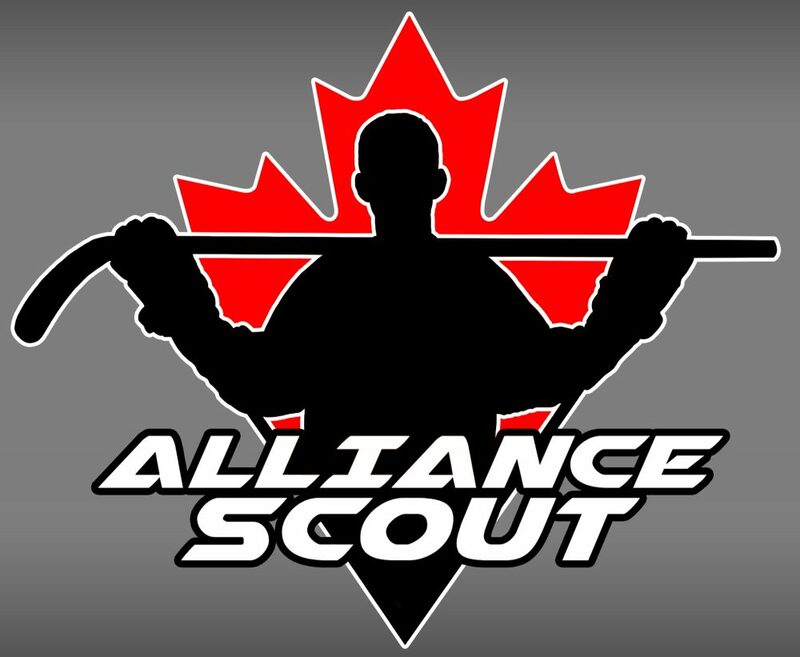 Over the next six weeks or so, we will see who the premier team is in the Alliance and whether the Alliance can duplicate or even surpass their result last year of having a team make the semi-finals of the OHL Cup. This will be the final rankings of the year and we have seen movements every which way. From now on, we will let the players on the ice determine who should be ranked #1. The final day of the Alliance All Star weekend went today with four games, but two of the same games. In the early action, Team Navy took on Team Grey in a game that saw Grey take the win 7-4 behind a three point game from Hamilton’s Derek Seguin who took home the player of the game honours for Grey. In the 2nd game, Team White shutdown the high powered offense of Team Blue with a 5-0 victory behind the stellar play of London’s Keaghan Brett. As it so turns out, the way the standings ended up we go these exact two same matchups for the afternoon games. Following a Saturday that saw many close games and a couple blowouts, the first big weekend of the Alliance regular season will conclude today with five more games. For the majority of teams, this will be their last game of action before heading to the Alliance FaceOff beginning on Friday. The Faceoff, while all exhibition games, will really give the teams an idea of where everyone is at early in the season. Both the Panthers and the Hawks are hoping that Sunday will treat them a little better than Saturday did. Both teams were on the wrong ends of lopsided loses with each team allowing six goals to their opponents. Cambridge was downed 6-0 by the streaking Huron-Perth Lakers while the Panthers were downed by the Kitchener Jr. Rangers 6-1 in a game that included many defensive miscues. Kody Williams is expected to make his season debut today for the Panthers. The Waterloo Wolves were able to begin their regular season with a home win yesterday in an impressive performance over the Elgin-Middlesex Chiefs. Nathan Torchia was strong in net as the Wolves put their performance in the Titans tournament in the rear-view mirror. The Jr. Sting will take in their third game in as many days today. On Friday night, the Sting played the Chatham-Kent Cyclones to a tie and yesterday the Sting were edged out by the Hamilton Huskies 2-1.